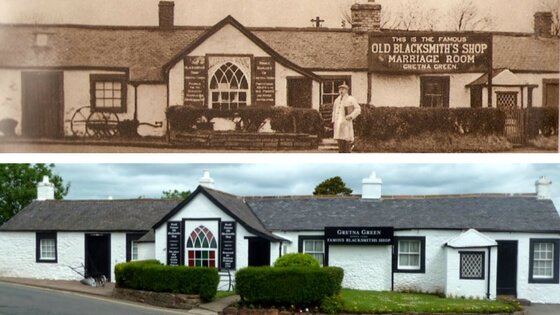 Nestled north of the border between England and Scotland, sits, what is widely recognised and one of the most famous wedding venues on the planet, the Famous Blacksmiths Shop, Gretna Green. 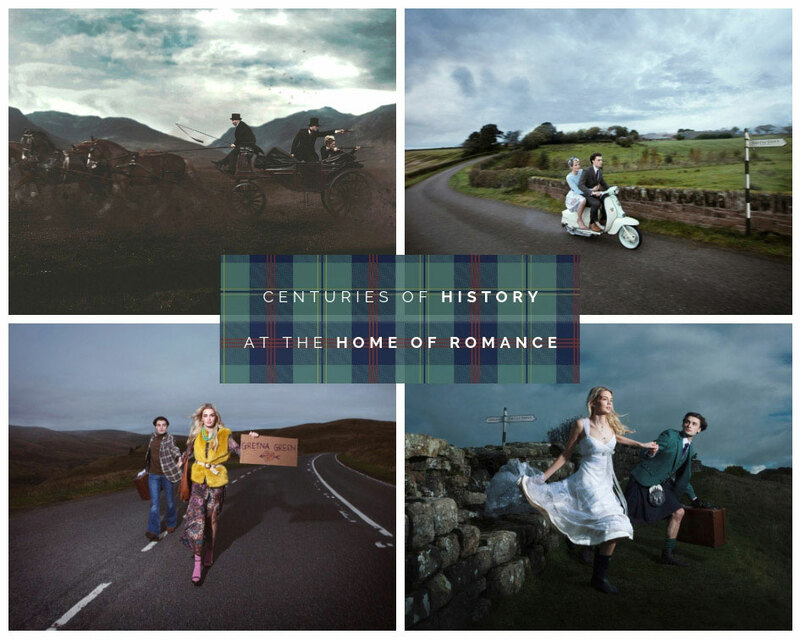 Nowadays, not only does it remain one of Scotland's most famous wedding venues, it is also a 5 Star Award-winning Visit Scotland Visitor Attraction; offering everything from our historic museum and family-friendly activities, to famous brand shopping, experience days, dining and an award-winning food hall! 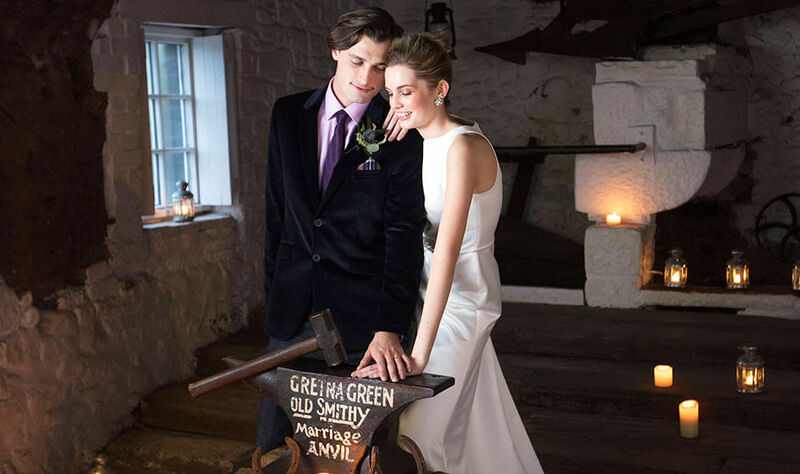 The Blacksmiths Shop has been at the heart of UK marriage for centuries. The building, built in 1713, sits at the very heart of the village of Gretna Green at the junction of five old coaching roads. These five roads formed the main intersections between Scotland and England; well-used by travellers passing in and out of Scotland for many hundreds of years. Our history began, however, in 1754, when runaway couples, seeking marriage outside of the restrictions of England and Wales, began converging on Gretna Green; the first stop in Scotland. Young couples would be met at the crossroads, beside the Famous Blacksmiths Shop by the ‘Blacksmiths Priest’ - the local blacksmith who conducted marriage ceremonies over the now world-famous marriage anvil in his small shop, with the Blacksmiths' wife and sympathetic locals standing as witnesses. The legend of the marriage anvil began as the Blacksmith Priests would strike their anvil as part of the wedding ceremony - forging the lives of the two lovers together in an unbreakable bond. 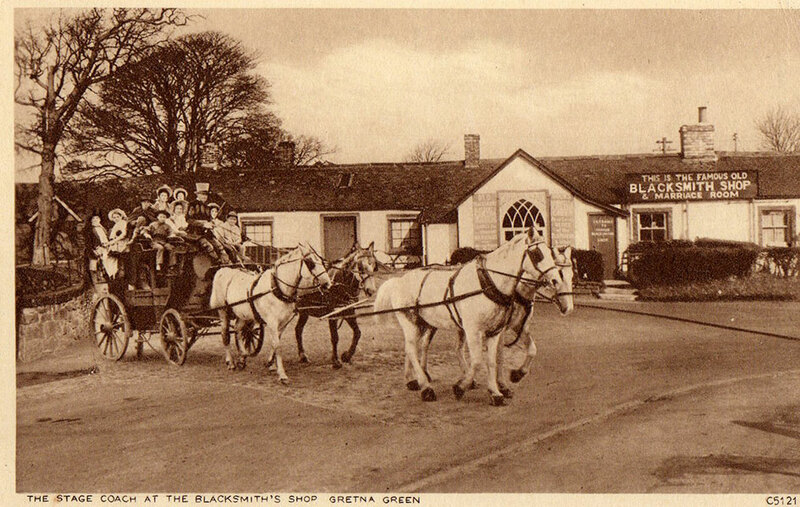 What is the Famous Blacksmiths Shop, Gretna Green, now? Today the Blacksmiths Shop stands proudly in the same spot it has done for centuries.